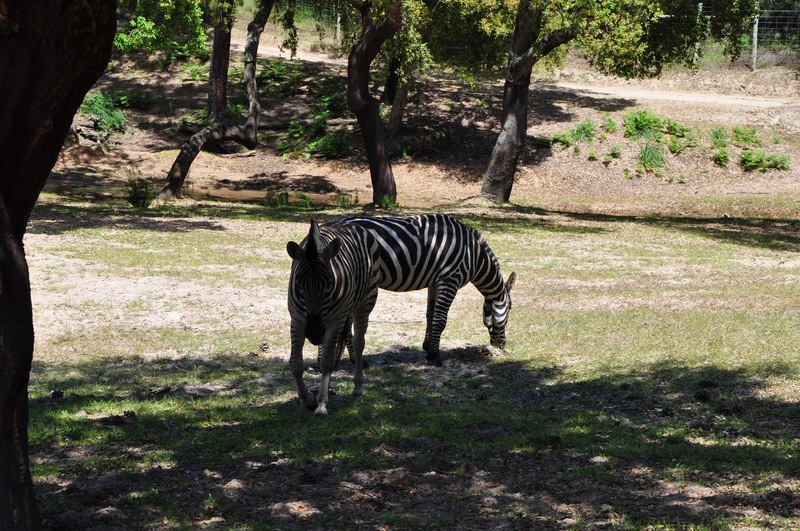 Portugal Nature Lodge is the perfect place to read one or more books. Or just sit and relax. Lazy in a hammock at your tent or on a loungebed at the swimming pool. 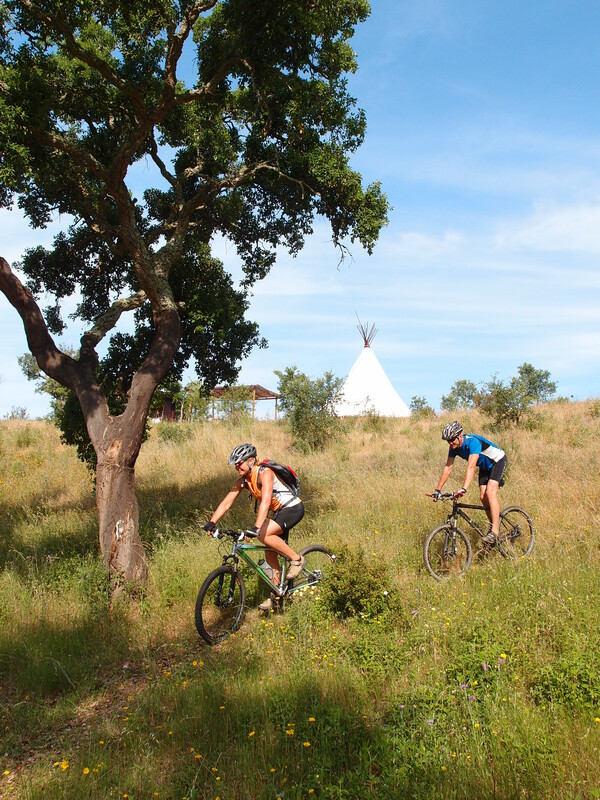 For kids is plenty to discover on the terrain of the lodge itself, playing Indian is very easy when you live in a real tipi! And of course there is the swimming pool. The smaller children have to be watched because of open water. 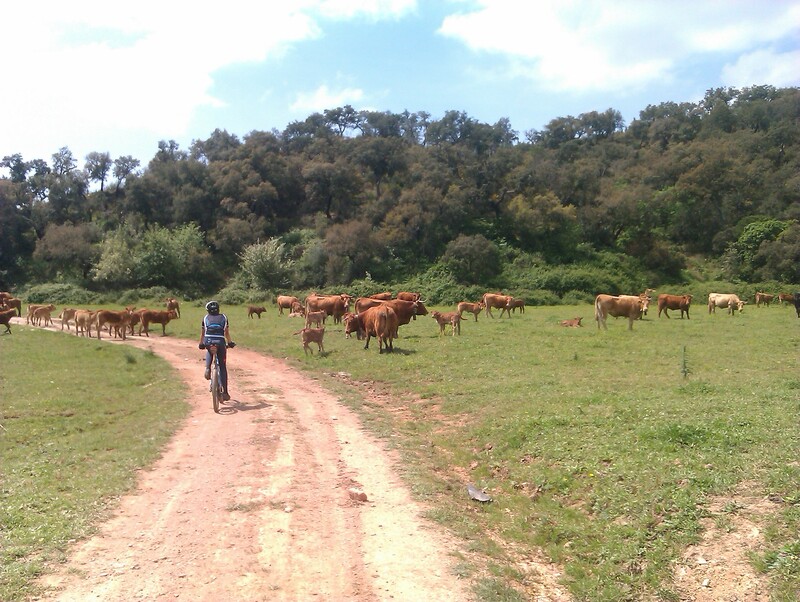 A short walk will take you to the traditional Alentejan village of Troviscais. White, small, with 2 bars and a beautiful view over the hills. 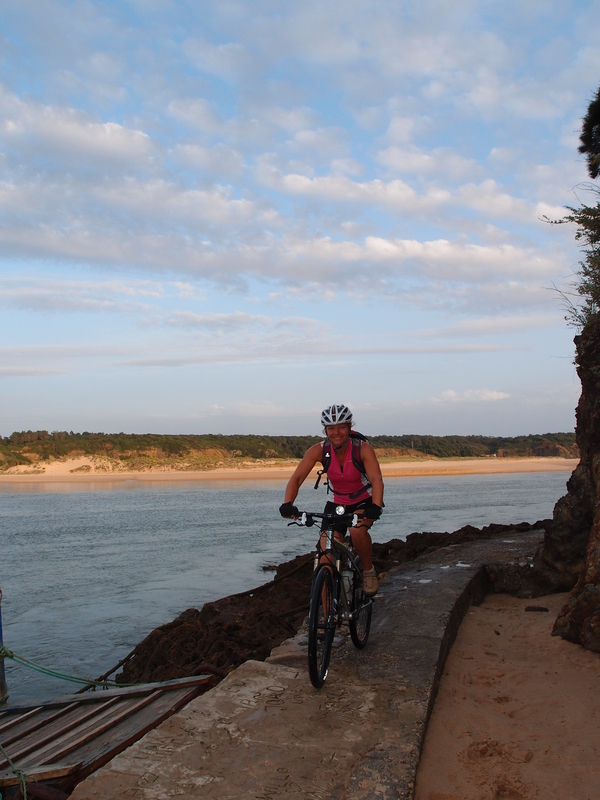 And a short ride by car will take you beautiful beaches. 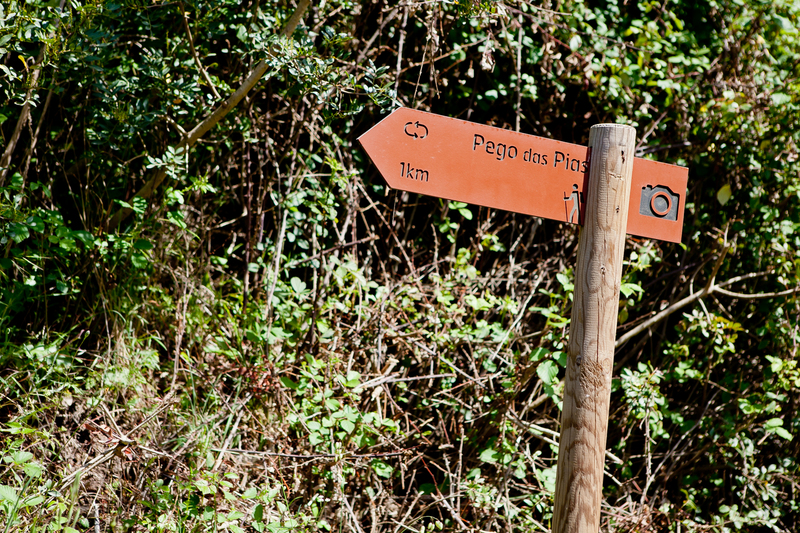 There is a variety of walks from the lodge and in the surroundings. 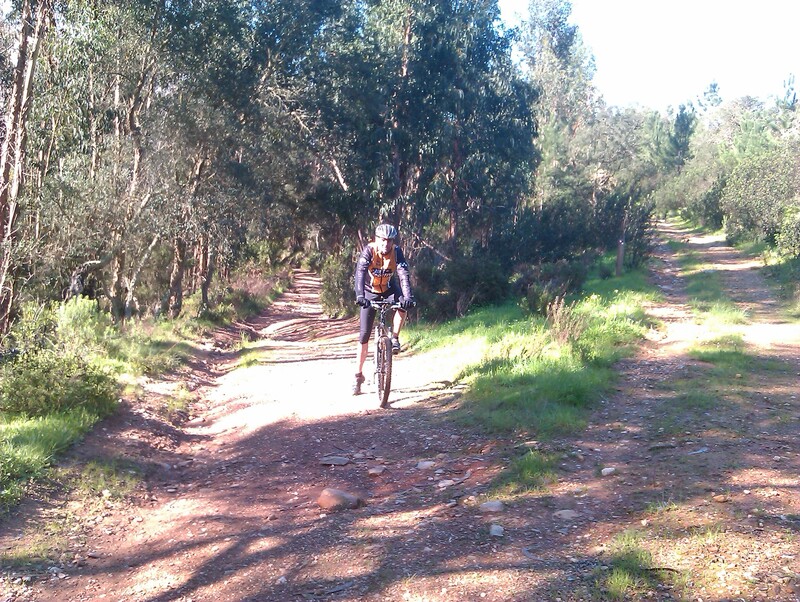 Plenty of possibilities for cycling and mountain biking. And of course the water sports on the rivers and the ocean. Surfing, canoeing swimming, fishing, you name it. 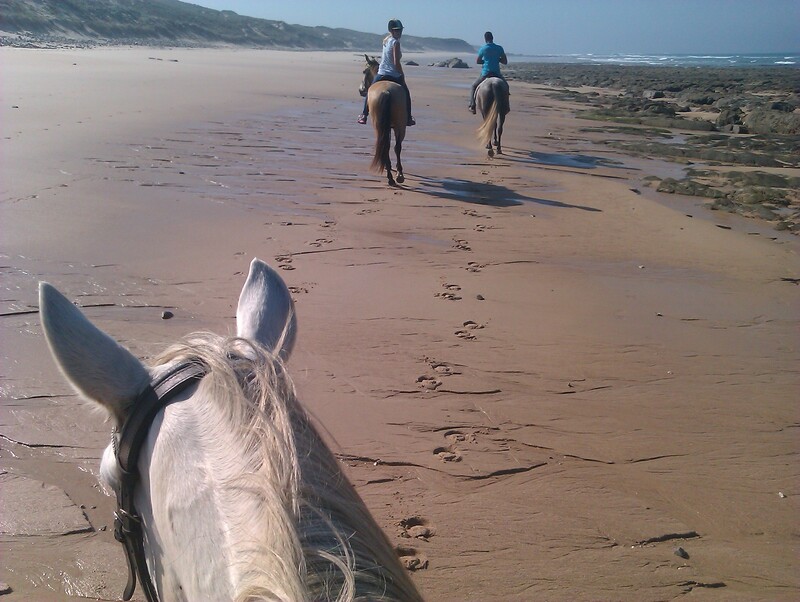 We can also arrange horse rides along the coast (riding on the beach is only possible in low season) or through the mountains, and activities like rock climing and abseiling. 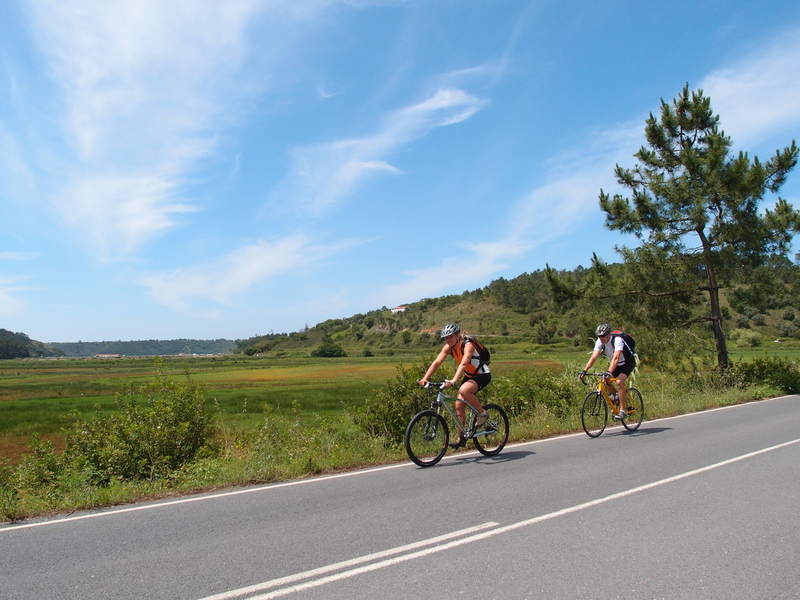 People who seek more entertainment will find it in the coastal towns of Vila Nova de Milfontes and Zambujeira do Mar with a range of restaurants, bars and clubs, especially in high season. And culture is mostly found in the little things in the traditional crafts you will see everywhere and the traditional small scale farm life. 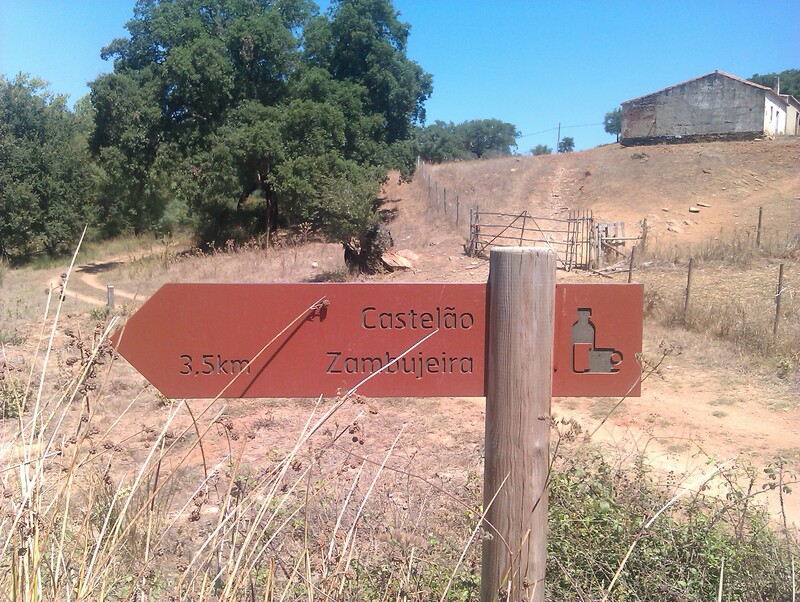 Every august Zambujeira hosts a big music festival with well-known artists. It is called Sudouest. Whether you prefer short strolls or more challenging walks a car is not necessary from the pretty village of Troviscais. 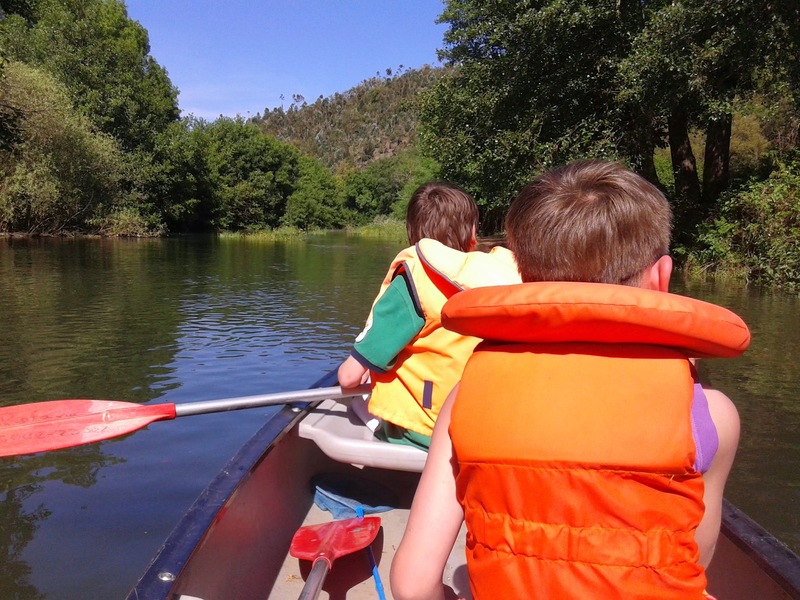 A mere 10 minute walk from Portugal Nature Lodge, will bring you to the beginning of the 11 km signposted walking circuit which takes you through the many acres of native cork oaks and eucalyptus covered hills of the Parque Natural to the beautiful river Mira. The Mira is a very clean tidal river, reputedly the cleanest in the whole of Europe. At the point where the walk meets the Mira the water is still brackish and teeming with fish. Storks, cattle egrets and other wading birds look for food in the mud flats alongside the river. Except for the occasional brightly painted traditional fishing boat you will not see or hear anyone. It is really beautiful and serene here. 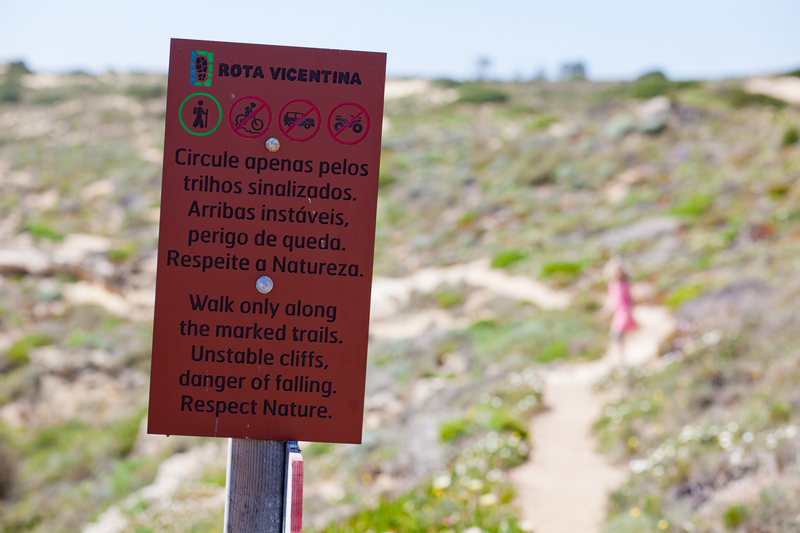 This roundtrip is part of the Rota Vicentina, that started as a spectacular long distance hike from Sagres, the southwestern tip of Portugal, to Santiago do Cacem, a bit north from here. 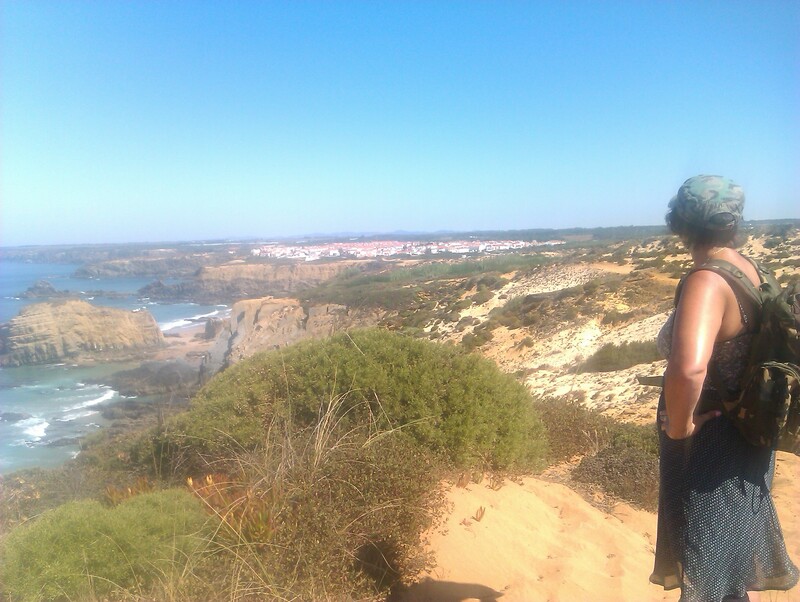 You can walk stretches from the Rota Vicentina from here, but you need your car to get to a starting point. It really does not matter to walk the same part up and down, the view will be so different you will hardly notice you´re walking back the same track. 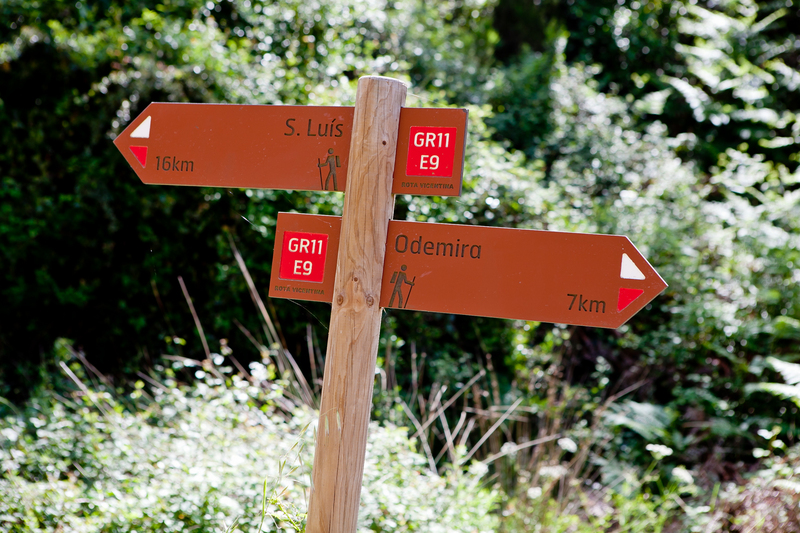 You can also walk straight from the lodge to the Mira, it is less than 3 km (1,86 miles) through green forest of cork oak and eucalyptus. 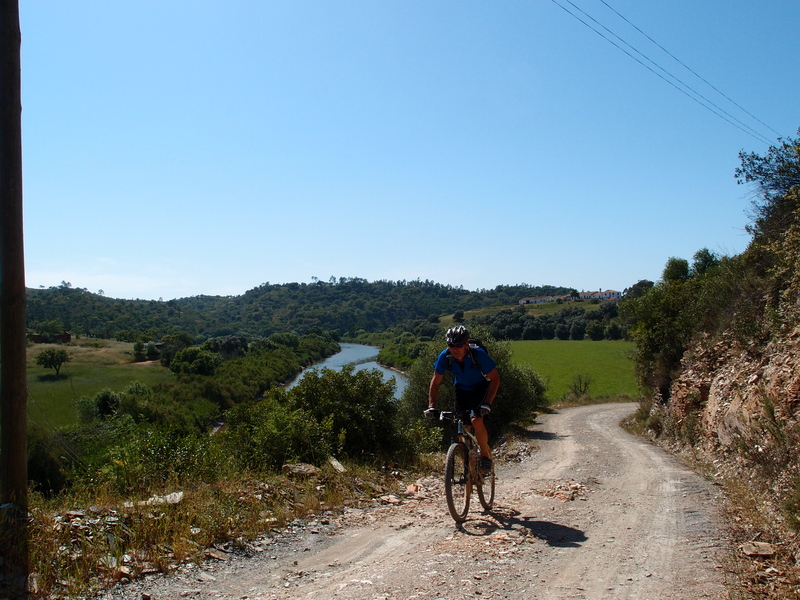 The route back can be via another track, through hills with white cottages in fields of grasses, grains and herbs, and on to the friendly cafes in the pretty traditional village of Troviscais. In spring the fields are carpeted with yellow and violet wild flowers spread across the undulating hills, on top of which you may find the distinctive roundel moinhos or windmills -many still furnished with delicate sails; still producing the wholesome wheat flour which gives the wonderful flavour to the local bread. 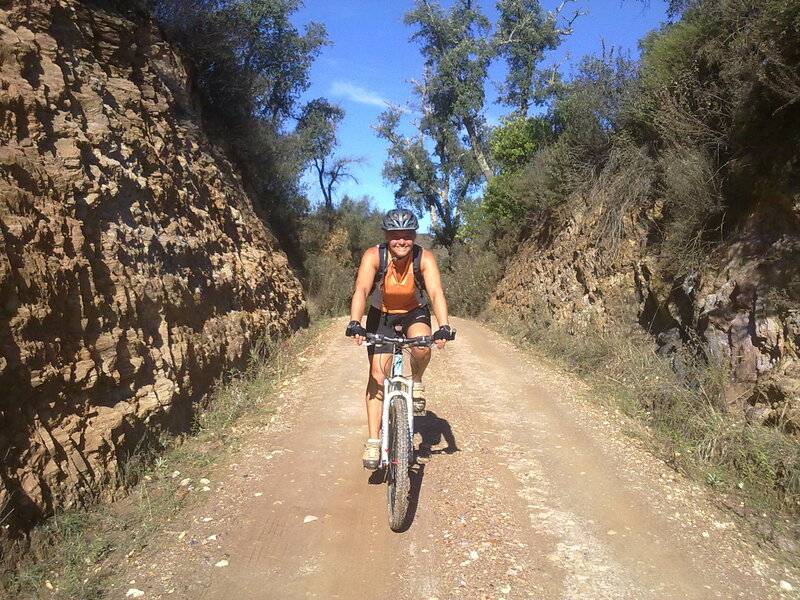 We ourselves fell in love with this spot during a cycling trip and have been fanatic cyclists and mountain bikers for years. 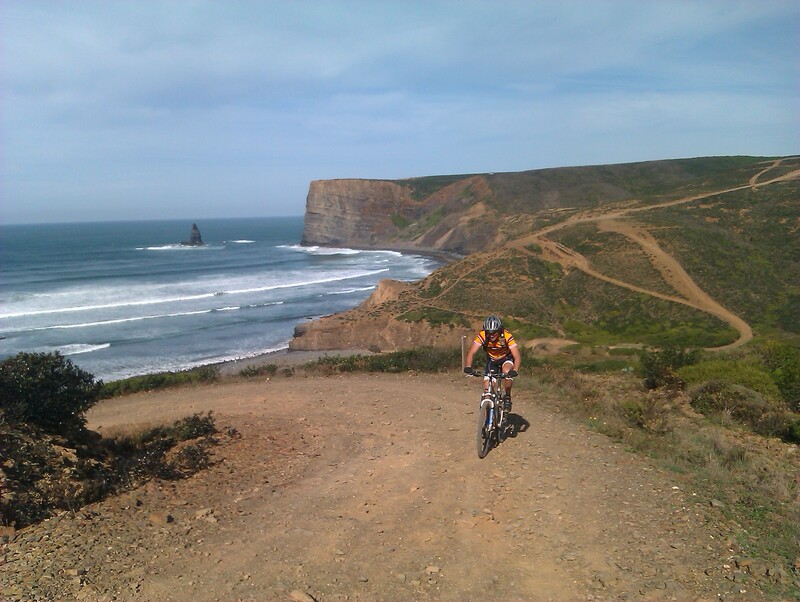 That’s why we can say without doubt: this is a great place for mountain-biking. 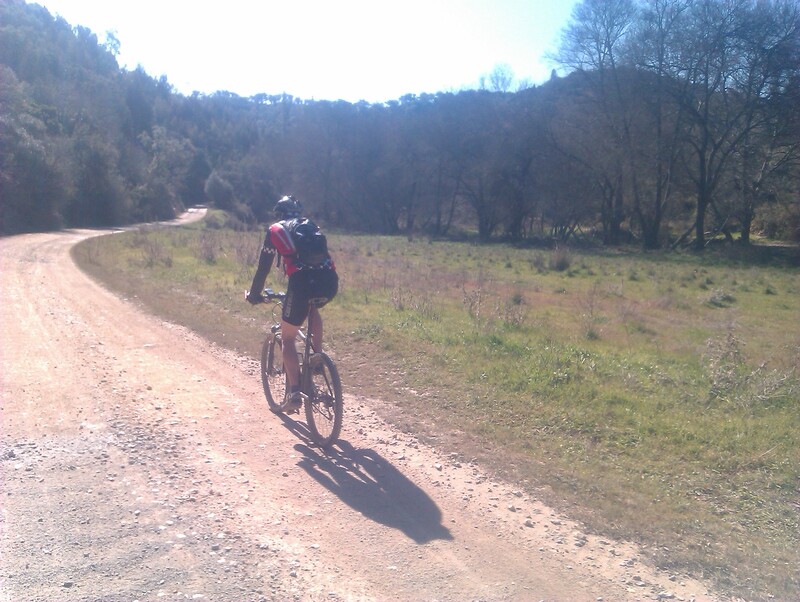 It is also excellent for road cycling. There are many quiet roads on which you can ride for hours meeting only the occasional car. Connecting roads can be somewhat busier, and the Portuguese sometimes drive fast on the narrow winding roads. On the other hand, they are used to slow traffic, and when you take this in account, and if you like a hilly ride, you can make long trips on tarmac without feeling at all harrassed. 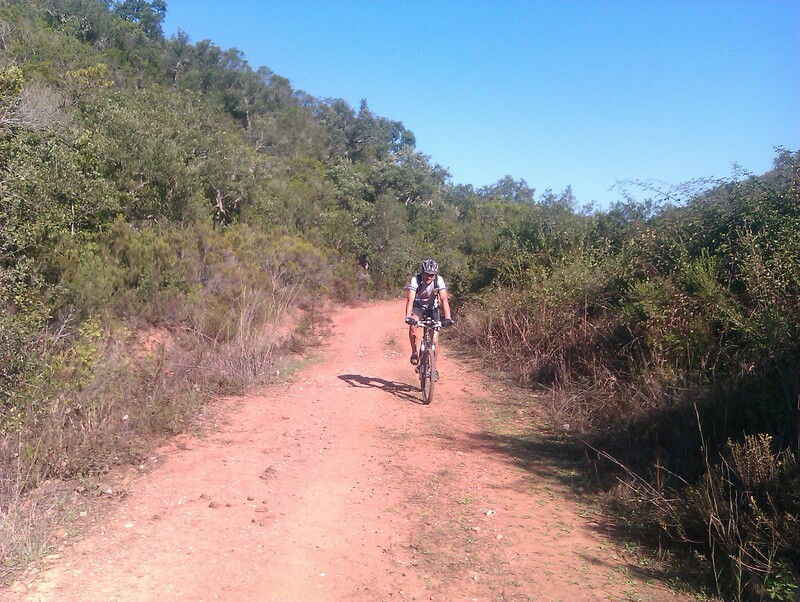 But for the best spots and the most beautiful tracks you do need a mountain-bike. 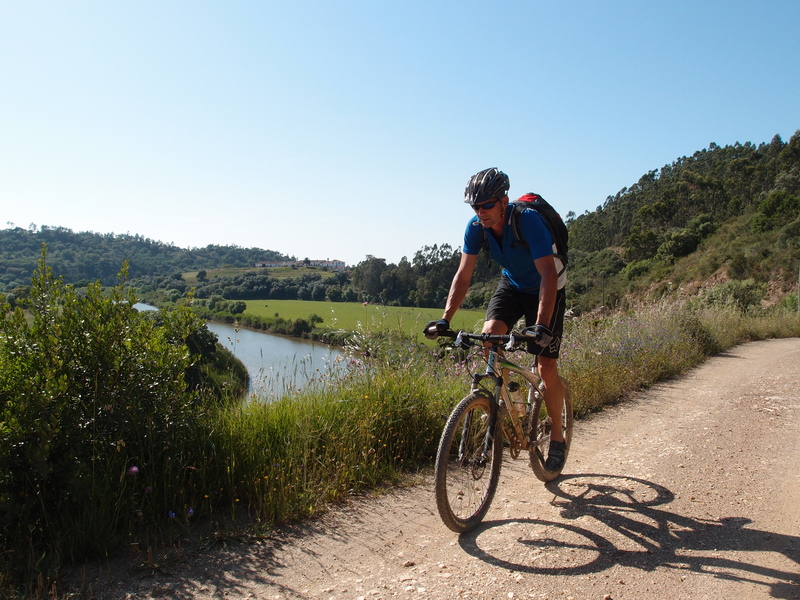 In this part of Portugal most roads are still unpaved, what makes that you can connect tracks forever and bike to no place in particular but just … nice biking. For all levels. 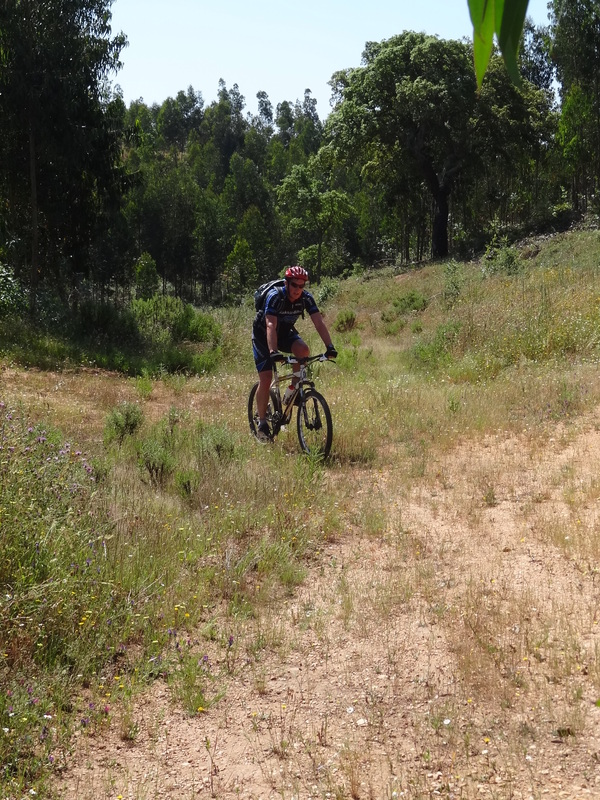 You can take a short ride in the direct area of the lodge, just an hour in the morning to start a lazy day. 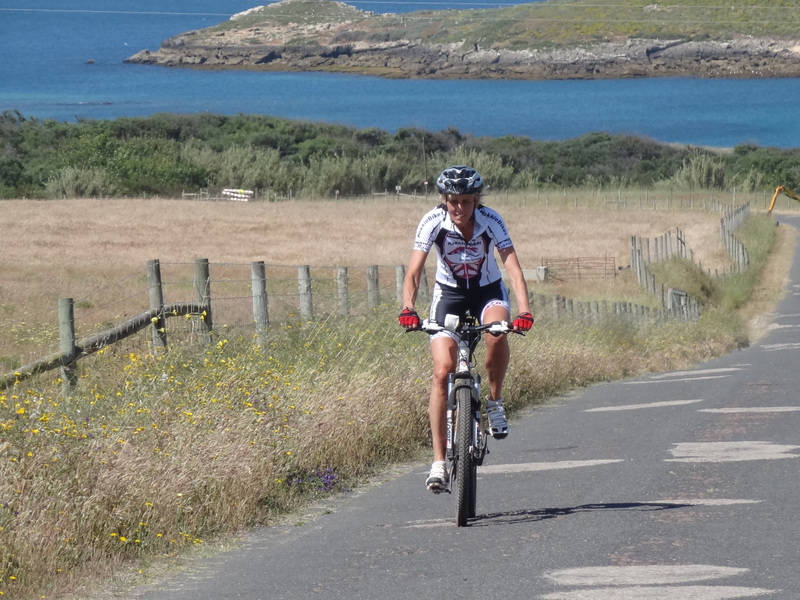 Or a day ride which is partly on paved roads (but you can also do this part by car), brings you to the beautiful tracks on the cliffs along the coast. On one side the unspoilt sand dunes, covered with wild rosemary, thyme and juniper. On the other side – down below the jagged slate cliffs is the deep blue ocean. Look for more routes on . 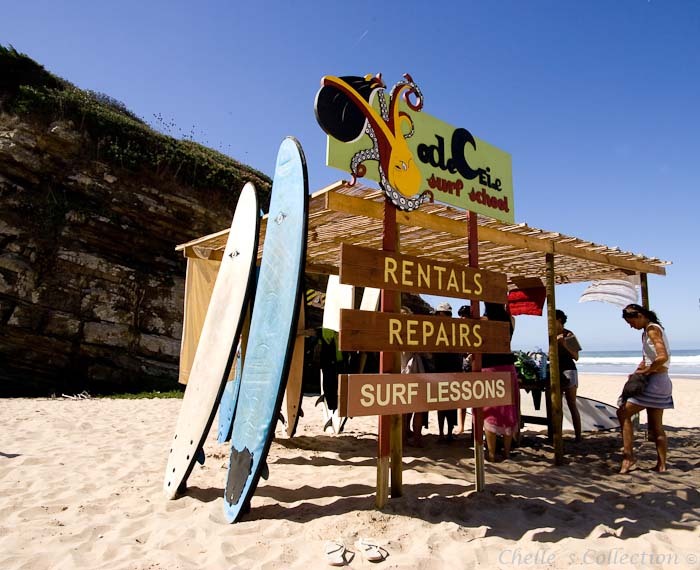 If you like to be in the water and play with the waves, you shouldn´t miss the opportunity to take a surflesson on this famous surfcoast. You will be having fun for a couple of hours, the time will fly and at the end of the day you will be tired but perfectly satisfied. 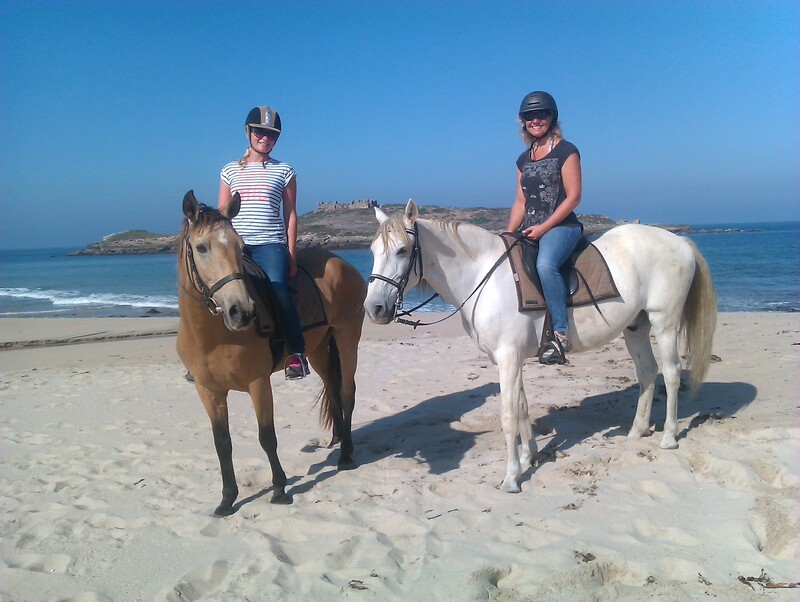 When you are more experienced you can go to a different beach every day. 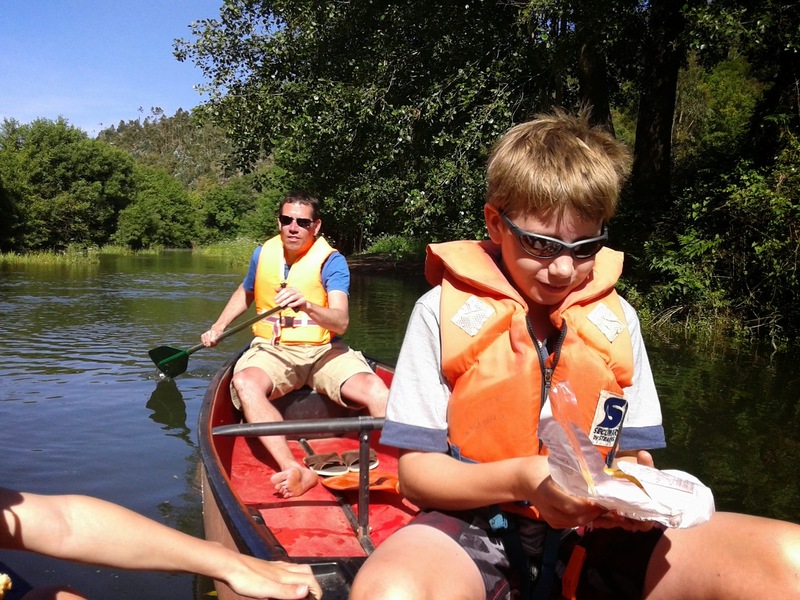 The Mira river is a tidal river, so canoeing has to planned. You don´t want to struggle against the tide! 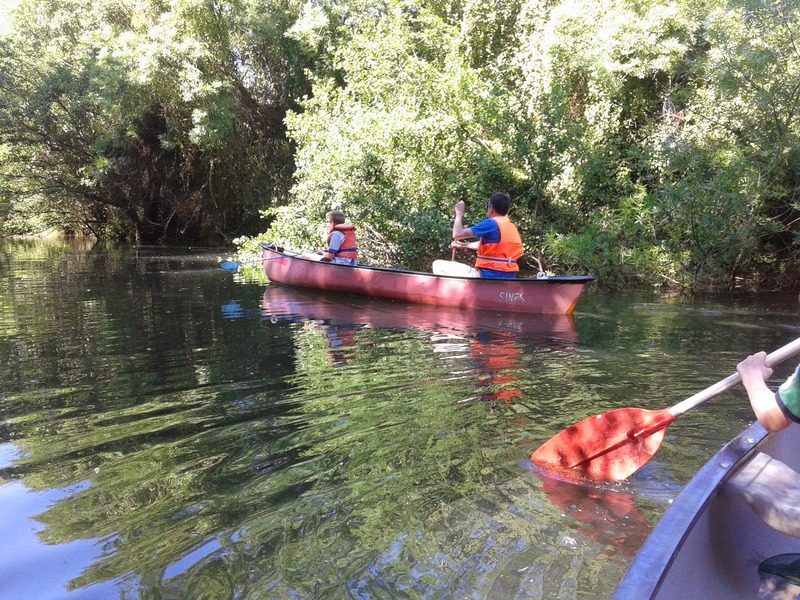 But when you go with the tide canoeing is very relaxing. The river is calm, there are hardly any other people on the water and on the banks there are just a few houses. It is an oasis for waterfowl and fishes. 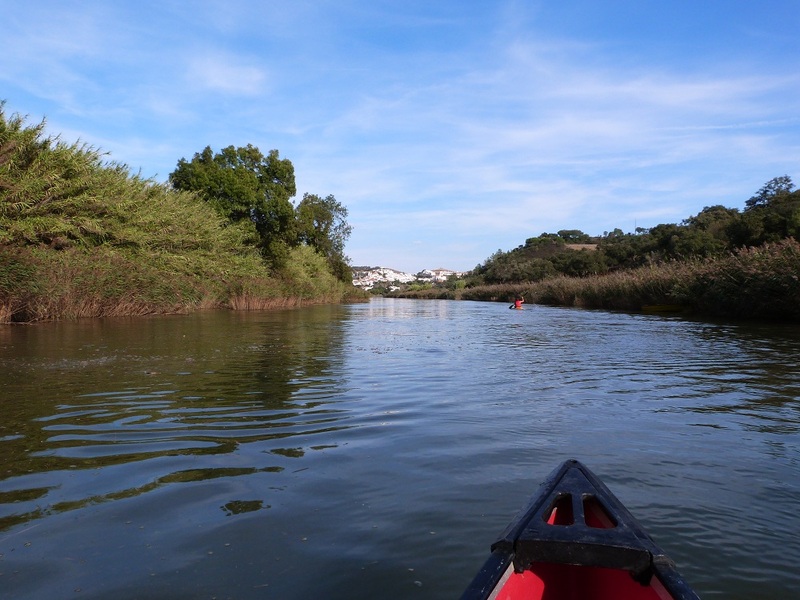 You an do stand up paddling in the rivermouth, a spectacular spot, and paddle upriver. 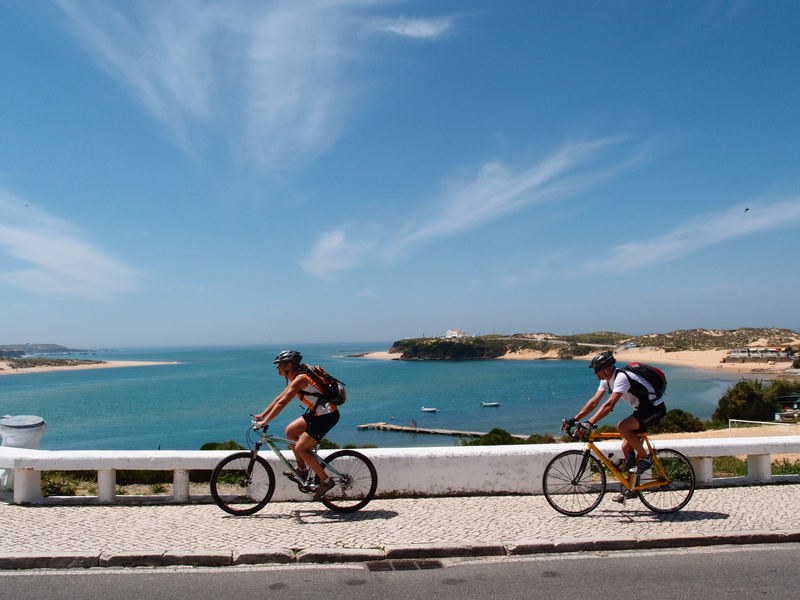 In Vila Nova de Milfontes you can plan boattrips to go (sea)fishing or as transport to another sea- or riverside town. To be honest, there is far more nature than culture to see here. But there are some sites and things to visit. 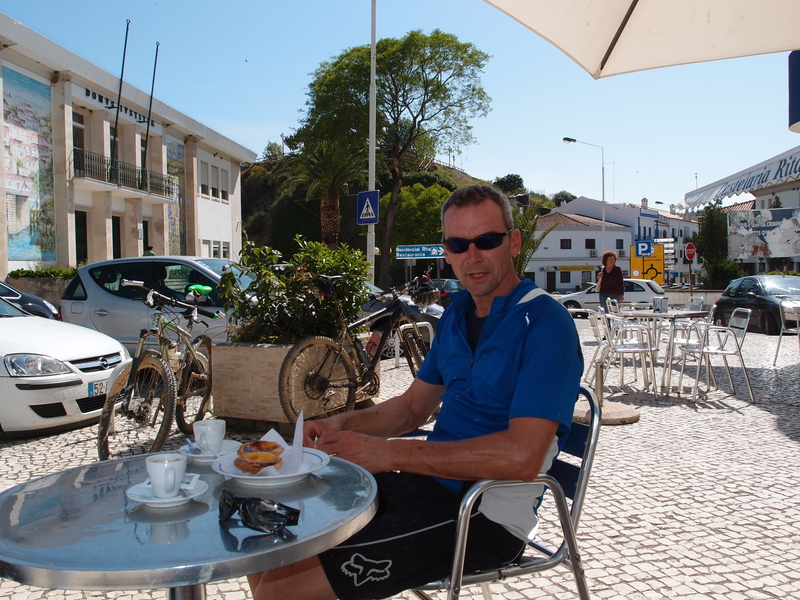 The best way is to take a drive a few miles inland, stop in one of the white villages for a drink and a snack, or have a real portuguese lunch, which will keep you going for the day. 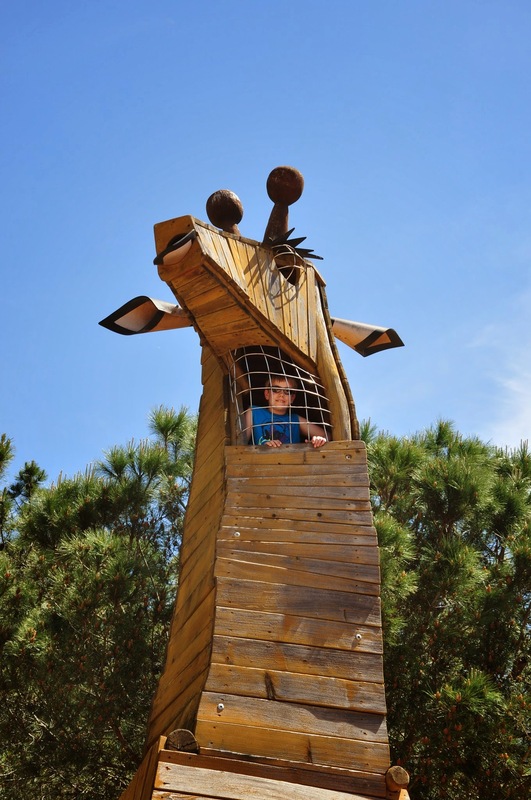 Close to Santiago de Cacem you will find Roman Ruins called Mirobriga and Sines is the birthplace of the discover Vasco da Gama, and has a museum with some artefacts. Also in Sines in summer is the world music festival, FMM-Sines, where you can enjoy a concert within the castle walls on a beautiful summer night. The coastal town of Zambujeira do Mar host in the first week of August a modern music festival, Sudoeste.